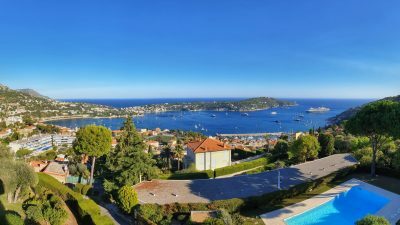 This luxurious property of more than 440 m² is situated in one of the French Riviera’s most prestigious and fashionable residential areas and has a beautiful garden of over 4000 m², that is not overlooked. 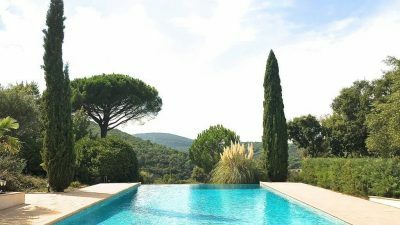 The villa is situated in very quiet and peaceful surroundings, overlooking the Medieval village of Biot, yet only five minutes from the beaches of the Mediterranean. The property has been completely refurbished with high quality materials and consists of: a spacious living room with fireplace and dining room, from which you have direct access onto a beautiful terrace lounge area with lovely views of the lush landscape. A studio appartment. Furthermore, there is a separate, fully equipped kitchen, four bedrooms with their own bathrooms, wine cellar and a library. There is a detached guest house of 80 m² with living room, open kitchen and two bedrooms. 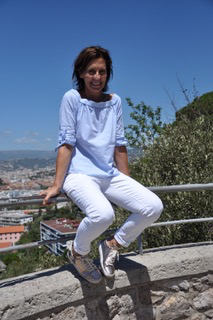 The villa also profits from a roof terrace where you can enjoy a glimpse of the sea. The garden is a wonderful oasis, with a large mosaic swimming pool, jacuzzi, a nice outdoor kitchen with bar and a unique playing fountain which is enchanting during warm summer evenings. An exquisite property in lush and safe surroundings, only 25 minutes from Nice Airport.